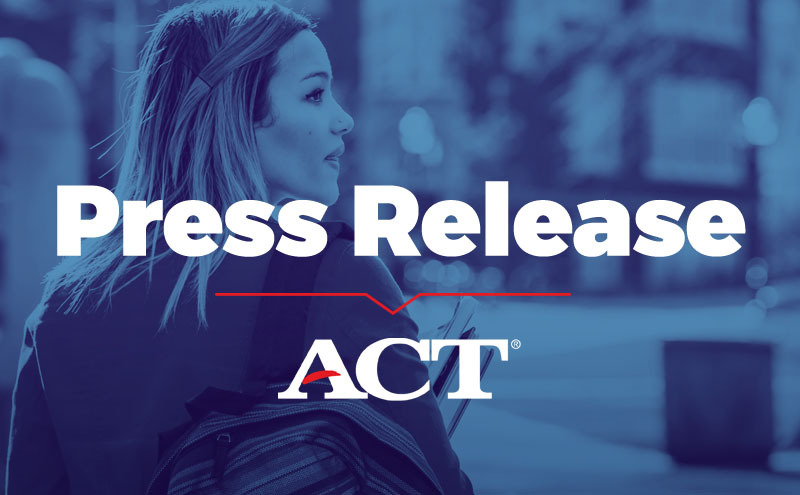 IOWA CITY, Iowa—ACT today announced plans to launch ACT® Academy™, a free online learning tool and test practice program designed to help students master the skills they need to improve their ACT scores and succeed in college and career. The program will be launched in the spring. ACT Academy will help students improve their college and career readiness by providing them with video lessons, interactive practice questions, full-length practice tests, educational games and other materials targeted to their academic needs. Each student will receive their own personalized study plan based on their scores from the ACT® test, PreACT®, official ACT practice tests, or diagnostics within ACT Academy. ACT Academy will provide students with engaging content and materials developed by ACT, the Khan Academy, NASA, PBS and other learning organizations in one convenient place. All of the content will be sorted by efficacy, so students receive the resources that have been proven to be most effective for each skill. It will include the high-quality materials of ACT’s OpenEd, the leading online resource library for K-12 teachers. ACT Academy will be compatible with all devices and will allow students to work on building their skills anytime, anywhere they have internet access. Parents, teachers, and counselors can also use ACT Academy to help students study and learn. One unique advantage ACT Academy will provide students is the ability to drill down and pinpoint building-block skills they have missed. Every user will have access to thousands of ACT resources, as well as ACT’s proven tips and strategies. For more information about ACT Academy, visit: www.act.org/academy.